Explore the final frontier before the game's March 22 release. Rovio does not mess around when it comes to promoting Angry Birds Space. 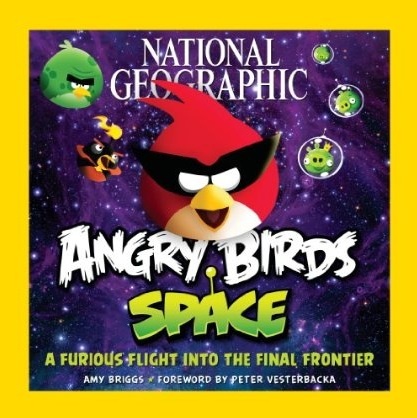 There's the trailer featuring a real astronaut, and now we have this collaboration with National Geographic, A Furious Flight Into the Final Frontier. Level One. "You Are Here: What's Out There?" Level Two. "Short Flights: The Inner Solar System"
Level Three. "Longer Journey: The Outer Solar System"
Level Four. "Flying Farther: Deep Space"
Throughout this special journey, readers wil learn about how stars are born, Astrofacts and other bits of Space Data. The paperback will debut March 20, and you can pre-order via Amazon. Angry Birds Space hits iOS and Android March 22.